After several years of walking this road, I have come to realize a very critical truth about the role we play in reaching the world! Following an Easter Sunday with much conversation and discussion about Jesus and His role as Redeemer and Savior, Monday rolls in with a blur of activity and demands on our time. Last Friday we heard the famous words, "Its Friday, but Sunday is coming!" On Easter Sunday we rejoiced with brothers and sisters of faith and shared, "Happy Easter," or "Happy Resurrection Day!" We finished our day with a sigh of relief from the busy day and settled in for a quiet night. However, the whole weekend had an odd sense of expectation looming over it. Did you feel it? Did you sense the weight of the weekend pressing down on you and causing you to try very hard to rejoice and be happy while all the while a sense of panic lingered on the edge of everything you did? Why? MONDAY IS COMING! That's why. Every single Christ follower alive on the planet knows that the Easter celebrations are only a momentary time of rejoicing in the midst of a world of suffering, pain and death! Wow...what a sobering thought after such a day of rejoicing, but it is true. The need is so great around us for the unreached, that many have begun to focus solely on those who have never heard the Gospel. Now this sounds great on the surface, yet think with me for a moment and realize the gravity of the situation. 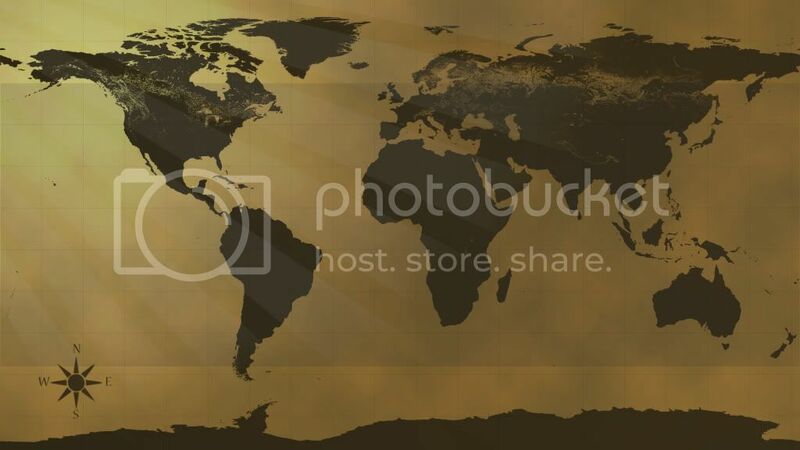 The need is so great across every country and kingdom for the Gospel message to be proclaimed that many organizations and missions efforts have begun to focus on the most critical areas of the need only. This means that those pockets of population around the world where no one has carried the truth of the Gospel have become the primary targets for much of the resources given to spread the Gospel. Every single day missionaries all over the world are having to decide which people group is more critical to share and show the Gospel to as they seek to reach the world. All across the globe "unengaged" is taking precedence over "unreached" due to the ratio of those who are reaching the world! Yes, the primary reason decisions like this are being made all around the world is because the church has become occupied with celebrating together our common enjoyment of being together. Singing the songs we like and hearing the challenging message that causes us to go deeper in our walk. And, although these are aspects of this faith journey that are good, they can become the very issues that hinder the Gospel from being shared. The enjoyment of the church can take the place of the burden of the church. And when that happens the world slips away unreached with every moment we celebrate. Now, please don't read my heart wrong. I am just as passionate as the next guy about worship and celebration in the fellowship with other Christ followers to spur one another on to good works in Christ! I believe we need each other to challenge and encourage the work of faith to be ever on our minds and hearts. It is no doubt a necessary part of our faith journey to gather and celebrate His goodness and His greatness to build one another up and enjoy the sweet fellowship of the Body gathered. Let us stop for moment and compare the time we invest in growing in our faith and time we spend pouring our lives out for the King! Choices are being made everyday in tough places to "not invest" in certain areas of the world for the sake of investing resources in those most critically in need. Yet, the call to go make disciples is to all of the Body to go into every land! Yes, the plan of God has always been to reach the world through the Body of Christ known in most cultures and lands as the The Church. The opportunity for every person to know the Gospel is actually possible through the active participation of God's people in His plan. So, now that Monday is here, and the desperation of the world is beginning to sink deep into our minds, let us turn from the ways of the past. Let us rise with the new day and passionately go into all the world and reach the nations for the sake of His great Name! Not just the unengaged or the people with no witness, but every people group in every nation, in every part of the world. Look now for the opportunity to journey into another context with the Gospel. Seek out those around you who are going into all the world regularly and join them. Start today to organize your life around the places and peoples God lays on your heart. He begins with a short-term experience in another context to open our eyes and heart up to what He is doing around the world. The next step is to actually engage the people in this other context and share the Gospel and show the Gospel. He then will guide you to areas around your home community where this same need exists and type of work can be done. He will then show you where He wants you to engage in your local community. As you obey He will show you more and more of the needs around you. As you surrender and sacrifice for the sake of the Gospel, the Lord will open your world up to the lostness all around you. In your compassion for the hurting and desperate people around your community you will see the ends of the earth in their faces and be driven to continue to go outside of the local context to see more of what God is doing globally. These experiences will spur you on as you are challenged and encouraged by Christ-followers all over the world who are passionately living out the Gospel in every context possible. This will bring a freshness to the US church that will drive us to our knees for the sake of the unreached. Through the obedience to reach the unreached the unengaged will also hear through those we reach with the Gospel going to other contexts that we are totally unaware of with the Hope of Glory in their hearts. They will share the hope of the Gospel with these who have never heard and we will see them respond to the Savior. So here it is, the moment you all have been waiting for...Jesus said,"Go and make disciples of all nations, baptizing them in the name of the Father and of the Son and of the Holy Spirit. Teaching them to obey all that I have commanded. And behold, I will be with you always, even to the end of the age!" Find that short-term trip that will open the door for the Lord to use you in amazing ways in your Jerusalem, your Judea, your Samaria and to the ends of the earth. Today, right now, ask the Lord of the Harvest to send you into the field to work where He is calling you to go. Now, GO Reach the world and Teach His Word!